I There are 6 products. 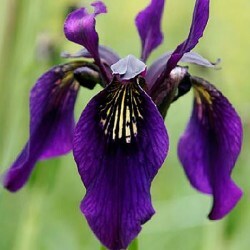 This is the famous iris japan which forms dense tufts of long, narrow upright leaves. Variety with large pink flowers. 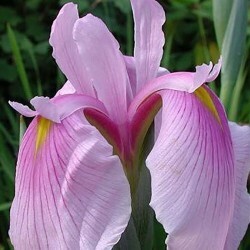 It likes moist or fresh land drained the summer but in winter. Massive, edges of pieces of water. 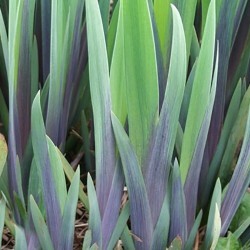 Iris japanese forming dense tufts of long leaves (deciduous) erect and narrow of water green and white cream. Large purple flowers with purple reflections. Wet and cool summer but drained soil in winter. Massive, edges of pieces of water. 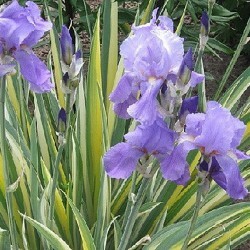 The variegated version of our good old rhizomatous iris gardens strain. Beautiful green plume of foliage and pale yellow butter, accompanied dune diris flowering fragrant purplish light blue bearded. Culture easy in any soil drainage. 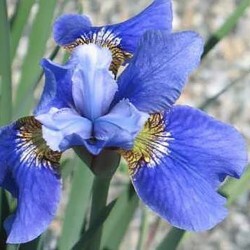 Iris robusta 'Gerald Darby' (Iris robuste) Iridaceae A rare iris, but easy to culture, the beautiful bluish black color and green of its leaves. Blue flowers also perched on black stems. 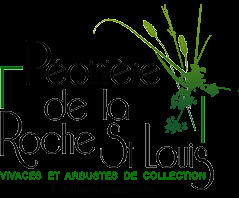 To associate with blue or pink flowers, golden leaves. Good ground drained. 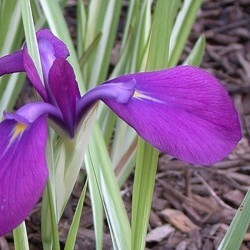 Iris very robust, easy in fresh soil culture but resistant to drought. It forms a dense clump of fine foliage and erect. This selection has flowers of a blue azure very bright.